EXCLUSIVE OFFER: ONLINE SCHEDULING AVAILABLE. SIGN UP USING THE FORM BELOW, OR CALL (985) 307-0977 TO MAKE AN APPOINTMENT AND RECEIVE TREATMENT TODAY. PHONE ANSWERED LIVE 24 HRS., 7 DAYS. DR. ADAM ROUSSEL IS AN IN-NETWORK PROVIDER WITH MOST HEALTH INSURANCE PLANS. CAR INSURANCE IS ALSO ACCEPTED. Summer is a subjectively fleeting season and school days are upon us once again. For children, this bittersweet time marks the completion of a period of relative freedom and the beginning of a new set of responsibilities. For adults, the onset of late summer and early fall signals yet another turn of the wheel of life, reminding us of our mortality on the one hand and of all we have accomplished and have yet to achieve during our time on earth on the other. For both children and adults, mental wellness is a key component of our successful adaptation to the changing seasons. Such mental well-being is especially important during the time of transition to a new school year. Hopes and expectations are high, and yet the change of scene may be daunting, for both the children and the parents. New teachers, new classmates, new relationships, and new academic challenges directly confront a child's settled view of the world and the wishes and desires of parents for their child's ongoing development as a human being and future contributing member of society. As the child will be spending significant portions of her or his day in the school environment, it is critically important to ensure that healthy lifestyle choices are proactively available.1,2 Healthy lifestyle choices include providing a variety of nutritious foods, including fresh fruits and vegetables, at snack times and at lunch. As well, daily vigorous exercise is a necessary component of all school programs, beginning with the youngest grades and continuing all the way through high school. From a public policy perspective, addressing the social determinants of health (SDOH) will help to foster a rich and rewarding school experience.3 The SDOH include sufficient green space in both the city center and surrounding communities, especially with respect to the inner city. 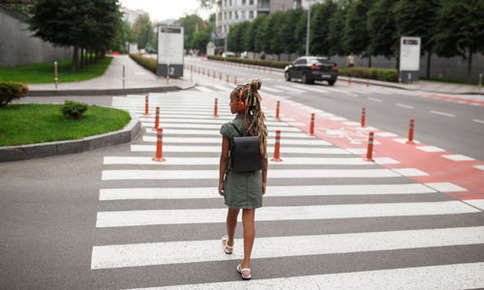 The built environment is a key component of the SDOH, including working street lights, sufficient four-way stop signs, clearly marked pedestrian crossings, and ensuring that school buildings are adhering to all safety codes. Mental well-being for the entire family is supported by regular chiropractic care. By correcting spinal misalignments and eliminating sources of nerve interference, regular chiropractic care helps our bodies to function at optimal capacity. Regular chiropractic care helps remove the causes of many musculoskeletal aches and pains, headaches, fatigue, irritability, and nervousness. 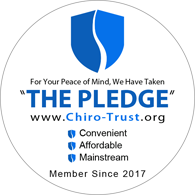 In this way, regular chiropractic care reduces and removes sources of mental stress, and helps our mental and physiological processes to work in unison. The result is improved ability to focus and concentrate, improved creativity, and improved overall mental wellness. Regular chiropractic care helps ensure the health and well-being of all of us, parents and students alike.